Sustainability is a topic of growing concern for many Americans as the value of renewable energy sources becomes evident. For most of us this means making the most of the resources we have and reducing our waste. As stewards over the earth, humanity is collectively responsible for using the land and its resources wisely. Despite efforts toward solar, wind, and other types of green energy usage, most of us still rely on coal, oil, and other fossil fuels in our everyday lives - especially in our homes. Most of us live on the grid, but that doesn't mean we can't reduce our footprints by making sustainable choices. 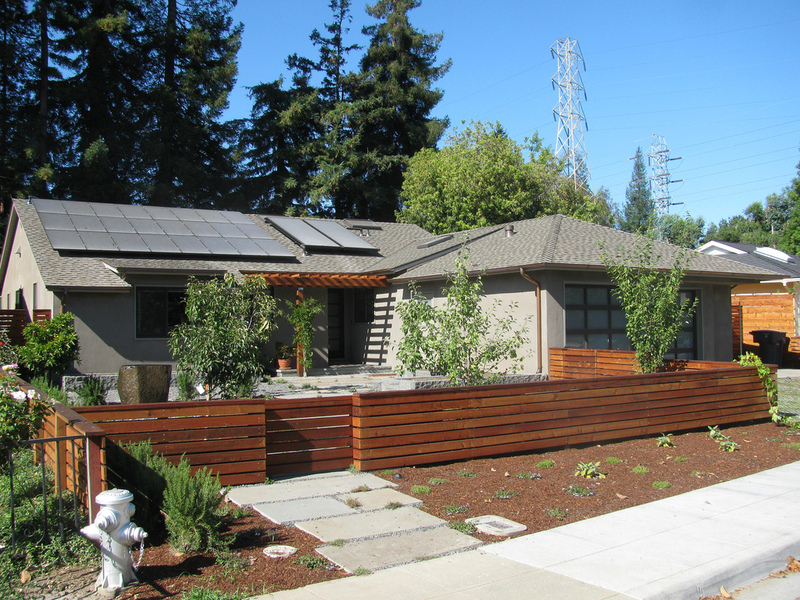 There's usually two options: find an existing home that's optimized for sustainability, or take steps to improve your home's ability to function off the grid. 20 years ago you'd have struggled to find commercial real estate designed for sustainability, but that that has changed primarily due to federal and state tax credits. Environmentally friendly commercial projects must also meet increasing efficiency standards - this can even include retrofitting older buildings to meet modern sustainability standards. The third option is building a green and energy efficient home of your own - and this includes using all of the terrain and existing land features to your advantage. If you're building a home, this can mean positioning the home to take advantage of breezes and optimal solar heat gain. Solar energy is something that existing and new homes can benefit from, as older homes can be renovated to include them. The upcoming Tesla solar roof is a great example of how far solar panels have come, as the roof tiles are textured tempered glass that allows light to pass through and be collected on a flat solar cell. When combined with the electrical storage home battery Powerwall 2, more homes will be able to collect and store energy self-sufficiently off the grid. The Tesla roof tiles will be able to generate an estimated 9,000 kWh per year, while the Powerwall 2 stores 14 kWh. To put this in perspective, the average American home consumes just over 10,000 kWh per year. It varies depending on state, with Hawaii having the lowest average at about 6,000 kWh per household. The weather plays a large factor in how much energy each home consumes. Much of this can be out of your control if you live in a location known for harsh winters, but the design of your home does play a part. Using moisture resistant and durable materials can help retain heat in the winters, cool in the summers, and reduce or eliminate drafts. The less energy your home wastes the more you'll be able to save, and by extension the less you'll need to collect from your solar panel (or use from the grid). Each of these elements is important on the path to sustainability. If we want to truly conserve the world's resources, we must not only reduce our waste but reuse and recycle building materials. Materials like glass, bricks, wood, cork, aluminum, and ceramic tile can be often found discarded. Homes can be built with upcycled materials if you maintain the principle of wasting nothing. Making the most of the resources we have is a basic principle of reducing waste. Next time you build, buy, or improve a home...think carefully about the impact you could have by using sustainable technology and materials.